Foreign trade in South China's Guangdong province rose 5.1 percent year-on-year to a historic high of 7.16 trillion yuan ($1.05 trillion) in 2018, according to figures released by Guangdong Sub-Administration of China Customs Wednesday. As China's major foreign trade hub, Guangdong province's foreign trade volume has ranked first in the country for 33 years in a row, according to the Guangdong sub-administration. Guangdong's foreign trade volume accounted for 23.5 percent of China's total foreign trade in 2018, with the province's exports up 1.2 percent to 4.27 trillion yuan and imports up 11.3 percent to about 2.89 trillion yuan. 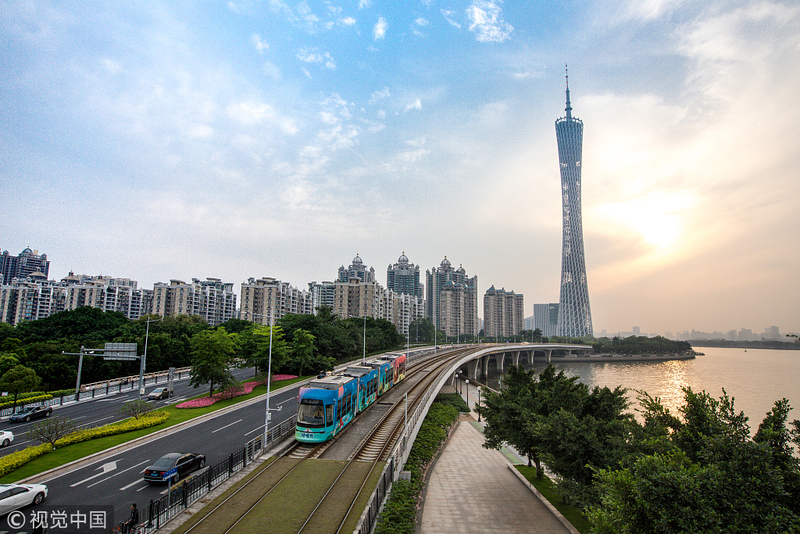 Privately-owned enterprises in Guangdong saw rapid increase in foreign trade in 2018. A total of 63,000 privately-owned enterprises recorded exports and imports of 3.5 trillion yuan over the past year, up 11.4 percent from 2017, representing 47 percent of the province's total foreign trade volume. The official figures also showed that the exports and imports from cross-border e-commerce of Guangdong province saw a significant increase to 75.98 billion yuan, marking a year-on-year increase of 72 percent. Meanwhile, exports of high-tech products and mobile phones have seen year-on-year increases of 5.8 percent and 18.3 percent respectively, while the imports of consumer goods hit 183 billion yuan, up 18.8 percent year-on-year.